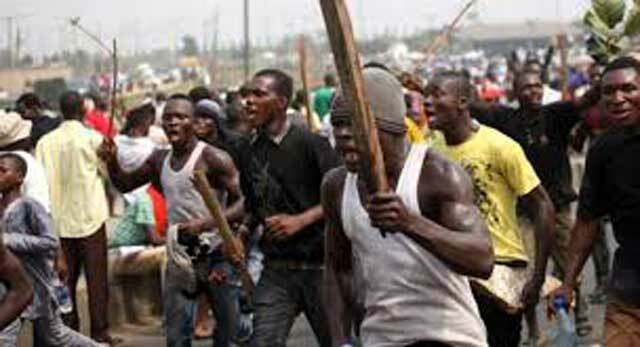 Hoodlums attacked no fewer than four journalists yesterday during a protest organised by some youths in Ilesa, Osun State against disconnection of electricity in Ijesa zone, injuring them and destroying their equipment. The Ibadan Electricity Distribution Company (IBEDC) had engaged in a disconnection exercise over alleged assault on its staff. But the aggrieved youths had on Sunday staged a protest in Ilesa Community. During the resumed protest yesterday, the youths who had earlier stormed major streets in the ancient town barricaded major roads and prevented vehicular movement. The protesters on sighting journalists, who were covering the demonstration, however, became angry and descended on the reporters. The irate youths were armed with dangerous weapons with which they attacked the journalists and damaged their cameras. Among the reporters are, Rafiu Muhammad of TVC, his cameraman, Taiwo Adu and Shittu Abdulfatai of Channels Television. The Guardian learnt that the protesting youths also damaged the vehicle of Unique FM/Freedom Television at Ilesa. The irate youths at the Isokun area of Ilesa, who were protesting against IBEDC’s conduct, damaged the car of the General Manager of Unique FM and Freedom Television, broke the glasses and destroyed their cameras. The organisation, therefore, urged the Nigeria Police and other security agents to intervene in order to restore normalcy to the area. Meanwhile, management of Unique FM/Freedom TV Ilesa, had directed the station to shut down until normalcy is restored. As at the time of filing this report, the journalists were still receiving treatment at the Ladoke Akintola University Teaching Hospital, Osogbo.